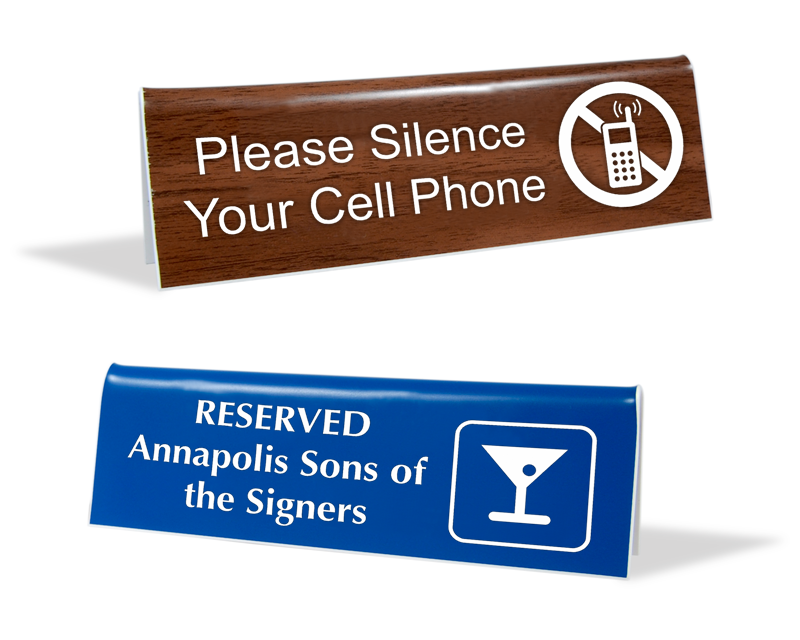 Its never been easier to get a quick quote on your engraved sign project. Choose a material, a size and the number of signs that you want and instantly see your price online. Start by selecting a material type. 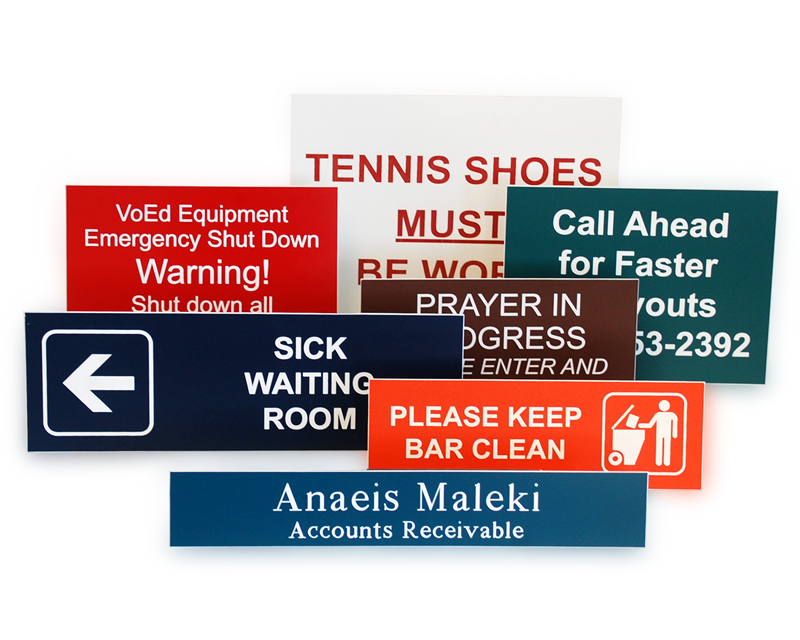 • Engraved Plastic Signs. Choose from a wide variety of sizes that we have to offer. These signs are ideal for a wall and you can order various attachment options, including holes, tapes, velcro, etc. 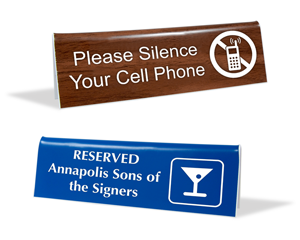 • Desktop Tent Signs. V-Shaped Signs have printing on both sides. 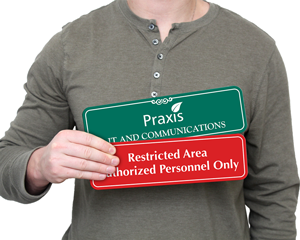 Signs sit flat on a counter or desk. • ShowCase Signs. Our premium plastic sign is subsurface printed and an architect favorite. • Engraved Valve Tags. 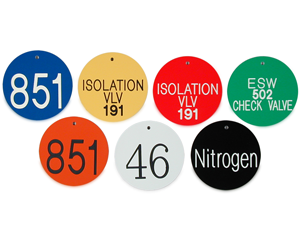 Plastic tags can be ordered in a wide range of sizes and can be ordered in two sided print.